Overall condition of this car is outstanding. Looks like new, drives and handles like new. It is considered the Corvette of Japans because in many cases, including power, equals or betters the Corvette. But with all that horse power the 3.2 v6 puts out it still manages a consistent 24mpg city and the same for the highway. •	Clean title in hand and current registration thru July 2012. Smog test has been done. •	Rebuilt engine with only 11,500 since install. •	Poly urethane bushings used including the engine mounts for solid control. •	Rebuilt 5 speed transmissions. •	New performance clutch that can be felt at the pedal. •	Custom 17” wheels with very good performance tires all around. •	Kenwood audio with cd. Alpine and Sony speakers installed front and rear. Great sound quality. •	New paint was applied early in the month of July 2011. 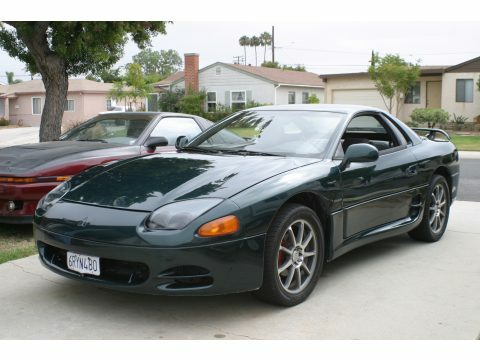 Original dark green color and was done at a custom car shop in Redondo Beach on Pacific Coast Highway. Paint was shot by a Master Painter of over twenty years experience who also is our good friend. Then the paint was hand finished, which took several days to accomplish, yielding an outstanding show quality mirror finish. The deep green color looks almost black at night. Additionally a hint of pearl blue was added in the medal flake paint resulting in a slight change in hue when viewing at different angles. Click on Photos to view this beautiful car.